The watch showed :51 3/5. Not a stopwatch breaker, but our trainer liked the way the big bay horse did it. He galloped strong to the pole and quickened with each quarter, reaching a little further with each stride, and the gallop out was strong. Our trainer had only a few years of training under his belt, but he had a solid foundation of experience growing up in a racetrack family. He had owned only one other horse and was ready to jump back in. He’d had his eye on the bay for a while and was ready to pull the trigger. The horse’s breeder was ready to move him along, and our trainer thought there were a few different things to try with the runner. Besides, having never won a race, the 4-year-old gelding still had all his conditions. The big bay was a pleasant horse and quiet in the stall but all business on race day. He was somewhat remarkable for a horse with all his conditions in front of him and 17 starts behind him; he understood his job and tried hard every time. This positive, hard-trying attitude made him a barn favorite … aside from being the “house” horse, owned by the trainer. The big bay didn’t run on Salix/Lasix (furosemide). In his early starts, he had the bleeding preventative, but his previous trainer had made the switch to drop Lasix, and his form seemed to improve. Our trainer didn’t think there was any reason to add it back, although the horse flattened out in more than one race. Nonetheless, in addition to historical improvement in form, there was a $1,000 bonus for horses winning without medication, so why not go for the extra cash? On a warm summer day with scattered clouds and a light breeze, our trainer walked his horse over to the paddock for their seventh start together. The gelding had hit the board in most of those races, earning enough to pay his way, and the two had bonded. Our trainer knew that any horse that tried as hard as this one did would knock it out eventually, and the bettors shared his confidence, sending the gelding off as second choice. He thought today would be the day, as he legged up the jockey, his own brother, and sent the pair to the track. The bay broke sharp, as our trainer knew he would, but ended up at the back of the pack by the first call. He settled into position on the outside of competitors and gradually moved up on several of them. As he hit the top of the stretch, he was off the lead by 5 ½ lengths but gaining on the outside. As he picked up tiring rivals, it became evident that he was tiring himself, and four strides after the wire, he collapsed. Fear gripped our trainer’s heart. His own horse, the one he had carefully watched and clocked for months before deciding to buy and caring for him tirelessly, was laying on the track. It was not hot enough for a heat stroke, and the horse had been as clean and sound as any under his care. Our trainer ran to the wire, where his precious gelding was motionless. Nothing could be done. Perhaps it was a heart attack—certainly, most likely a heart attack, as the gelding’s legs were all intact as he lay there in a heap. At least he did not suffer, our trainer thought. He pulled off the bridle and blinked back tears as he made his way to the barn area. He had never lost a horse this way, and his mind was racing, going over everything that led up to this event to figure out if there was anything he could have done. If only he could have known. The racing commission sent the horse off for a post-mortem examination to determine the cause of death. Our trainer thought, “At least I will know what happened, which may give me an opportunity to prevent this from happening the future.” After a few days, he inquired of the commission for the cause of death report and was informed that it was not available. Due to other circumstances surrounding that day (see sidebar), it took too long for our trainer to receive the report from the commission that revealed that his prized racehorse perished from exercise-induced pulmonary hemorrhage (EIPH). As the gelding ran his last strides, the capillaries in his lungs began to fail, with more blood leaking into his airways with every stride. The blood crossed into his airways, at first a trickle and then a gush, but the Thoroughbred would not give up because it was not in his nature to give up. However, as his lungs filled up, his ability to take in life-sustaining oxygen decreased to nothing, and he drowned in his own blood. Our trainer has since dispersed his horses and moved on to a new job. However, in an admonition to others, and armed with the knowledge of what happened that day, he is anxious to tell this story to other trainers, owners and regulators. Needless loss of life can be avoided. How? With Lasix. What Is Exercise-Induced Pulmonary Hemorrhage (EIPH)? What happened to this gelding afflicts a small fraction of horses racing throughout the world. Horses are highly efficient athletes, molded by eons of evolution to move huge volumes of blood across their exercising muscles as well as their lungs with each stride. They have been carefully designed for every stride to contribute to both active and stored energy—much like a rubber band stores energy—to minimize energy expenditure and maximize speed. Among the unique adaptations for optimal economy of motion are coupling the respiratory rate to galloping, a large powerful heart and high blood flow across the lungs (pulmonary circulation). In fact, blood traverses the pulmonary circulation so rapidly that it fails to fully oxygenate, a feature unique in the animal kingdom to horses. This exercise-driven high blood pressure in the pulmonary vessels pushes the pulmonary capillaries to the edge of failure. A tiny percentage of the horses that bleed will die acutely on the racetrack, either while racing or within minutes of the end of the race. Death is caused by massive acute bleeding into the lungs, as happened to this gelding. The lungs fill with blood and the horse goes down, sometimes during the race, other times in the winner’s circle or maybe as the horse comes off the track. The cause of death—massive hemorrhage into the lungs and drowning in his own blood—can only be determined by a full post-mortem examination. This is a significant cause of death in racing horses; the best estimates are that somewhere between 60 percent and 80 percent of non-musculoskeletal fatalities in racing are caused by acute EIPH, and when this happens during a race or when a horse is galloping out, it places the life of the rider and possibly other riders and horses at risk. Lasix and EIPH may be the most extensively researched topic in the history of horse racing. However, because of different study designs, many of the studies appear contradictory. Nonetheless, several risk factors rise to the top as convincingly real from the studies available. First, EIPH causes damage in the lungs, and this damage is structural, which means that it is irreversible. The progressive nature of EIPH means that as horses that have bled accumulate more racing starts, the damage worsens over time. Since geldings tend to have more starts, they also appear to be at a higher risk. Training and racing at altitude has repeatedly been associated with a higher risk of EIPH. Horsemen in the western United States have long considered EIPH to be altitude-related. The first formal identification of such a relationship came from Caracas, Venezuela, where the observed rate of EIPH was considerably greater than rates reported elsewhere at lower elevations. Following this identification, the EIPH rates at three different Venezuelan racetracks were compared and showed a direct altitude effect. Reviewing the scientific literature for a potential basis for this effect, it was noted that moving horses from sea level to altitude is immediately associated with quite a significant increase in pulmonary artery pressure, providing a physiological basis for the effect of altitude increasing the susceptibility to EIPH. So, what is the effect of Lasix on the incidence of epistaxis and EIPH? The best data we have is from New York racing, where Lasix was a prohibited substance until September 1995. This regulatory experiment in New York, when virtually all other jurisdictions permitted the use of Lasix under very strict controls, provides a clear answer to the benefits of the medication on the health and welfare of the horse. Prior to September 1995 and the introduction of Lasix, the incidence of epistaxis, as determined by the chief examining veterinarian of the New York Racing Association, was about 58 cases per year. The epistaxis cases dropped dramatically to average 10 to 11 per year in the years after Lasix was approved. Given these facts, a reasonable conclusion is that running a horse “off Lasix” increases the risk of an EIPH-related event, such as occurred in this matter, approximately four-fold. The administration of Lasix on race day is legally permissible within all U.S. racing jurisdictions. Its administration is regulated by the local racing authority, and it is required to be administered no less than four hours prior to post for the race. In 18 of the 34 racing jurisdictions in the country, the administration must be performed by a third-party licensed veterinarian who is employed or approved by the local racing authority. The use of Lasix in every jurisdiction in the country is an example of how uniformity comes about when the regulations in question are in the best interest of both the sport and the athletes. However, the narrative outlined above is a grim reminder of the reason that the use of Lasix has become widespread. Where monetary incentives are offered to trainers or owners to put their horses at risk, this outcome is unavoidable. To date, incentives for horses competing in medication-free races have been offered by tracks in Colorado, Arkansas and Florida. 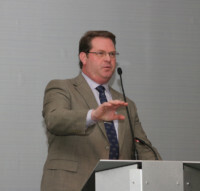 In addition, California’s racing authority, California Horse Racing Board (CHRB), has recently adopted a regulation to permit tracks to establish medication-based eligibility requirements that could prohibit the administration of any medication for a particular track even though such medication and its administration on race day is permitted by the CHRB. 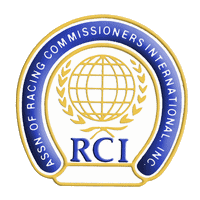 The Kentucky Horse Racing Commission (KHRC) also adopted a regulation entitled “International Medication Protocol” that permitted a track to prohibit the administration of furosemide less than 24 hours prior to post time as a condition of a race. The Kentucky attorney general found that this was an improper delegation of the discretionary function committed by statute to the KHRC and not a private racetrack. The horseman profiled in this article has hung up his trainer’s license and moved on to other endeavors. While he misses the lifestyle, the last chapter was one of the worst series of events to ever befall a dedicated conditioner. He has continued his work with horses, just in the background, away from the excitement of the track. He was informed of the cause of death of his precious gelding too late to help any other horse under his care. The courage and heart of the big bay gelding, not overly talented but distinctive in his desire to try, had laid its imprint on the man’s life. The tragedy of the gelding’s death and the failure of the racing commission to pass on this information to the trainer in a timely manner—to at least aid in the prevention of this tragedy repeating itself—are inexcusable. For a modest monetary incentive, a horse is raced without Lasix, immediately placing him at a four-fold greater risk of an adverse EIPH-related event. On top of this basic EIPH risk rate, this horse was running at altitude, thereby increasing his adverse event risk rate on the order of 10-fold more than at sea level. Given these circumstances, the sequence of events occurring in this horse was not completely unexpected: The horse initially ran well, then slowed toward the end as his lungs filled with blood, and he died from asphyxiation very shortly after crossing the finish line. As is not uncommon in these acute death situations, there is no obvious blood at the nostrils, and the diagnosis of death from EIPH requires a necropsy examination. It was a tragic outcome for the horse and his trainer, but it could have been worse; incidents of acute sudden death from EIPH have the potential to result in injuries to riders and other horses, as has previously been noted. The trainer knows it is too late for his gelding but hopes that it is not too late for others. Lasix is not just the letter “L” in the program. It is permitted in every jurisdiction in the United States under carefully controlled conditions, and any attempt to eliminate or ban it, especially with the offer of bonus money or other advantages for racing without it, is an egregious assault on the health and welfare of Thoroughbreds and the brave men and women who ride them. 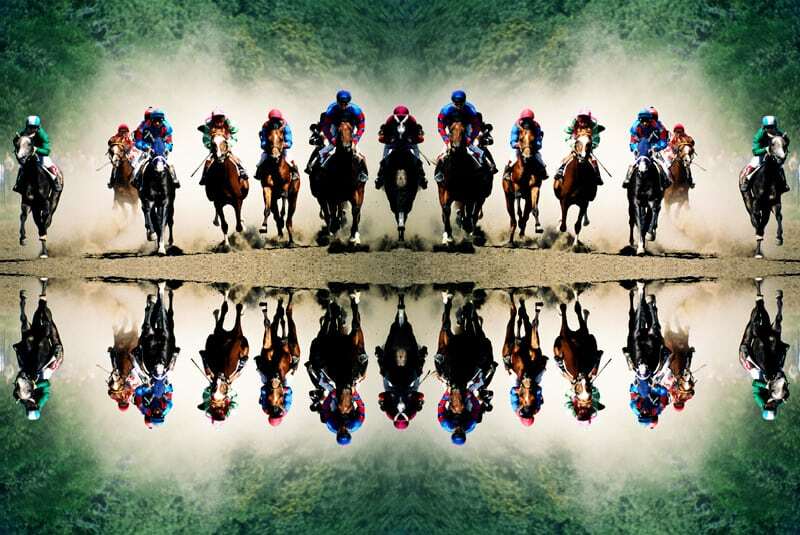 The story outlined in this article sounds fanciful, but it is a true-to-life account of a chapter in racing gone terribly wrong. It is further complicated by another turn of events that would change this trainer’s life forever. As the horse ambulance rounded the clubhouse turn, the vet wasted no time in drawing up the contents of the vial into a large syringe. As the association vet, employed by the racetrack to ensure that the horses competing were sound to race, he loaded quickly into the ambulance in the case of injury. The only vial that he carried on the ambulance was euthanasia solution. If a horse suffered a catastrophic injury, his role was to quickly dispatch the horse from this earth, so when the adrenaline of the race dissipated, pain would not ensue. It can be a gruesome job, but our vet understood it was more humane than the fate of horses that experience the same injury in a field or pasture and must wait for relief from suffering, sometimes for hours. While some might say it’s “part of the game,” catastrophic injuries actually afflict horses of all types and in all careers, even in retirement. The ambulance pulled up next to the horse, just past the wire, partially blocking the view from the grandstand. As quickly as he drew up the solution into his syringe, our vet pushed it back into the vial. This horse had already expired and the fatal injection was unnecessary. An assistant starter and ambulance driver quickly pulled out the screen, which blocked the view from the spectators as the horse was winched into the ambulance. Next to the euthanasia syringe lay an empty syringe that our vet used to draw blood from the ill-fated horse for a drug test. While most catastrophic deaths in horses, racing or otherwise, are unavoidable, there is always a chance for foul play, for a trainer to play fast and loose with the rules by using drugs for an edge in callous disregard for the welfare of the athlete. For those cases, a drug test and a complete post-mortem exam are necessary, so such actions can be identified, protecting other horses in the future. Several days passed, and our trainer continued to inquire about the post-mortem examination on his horse. Each loss of a horse, whether in a field or on the racetrack, is a tragedy for its human connections, and this gelding was no exception. Our trainer anxiously awaited the results to ensure the safety of his remaining string if there were any way such a fate could be avoided in the future. The racing commission was soon to descend upon his barn but not to aid him in the future management of his racehorses. Security guards accompanied state investigators as they unceremoniously pulled up to the barn of our trainer. The barn was searched for contraband; none was found. He had been summarily suspended by the racing commission and given 72 hours to move all horses to other trainers or off the grounds. He scrambled to find places to ship the horses. Some went to the farm, some to other trainers and most left the state. In the middle of the confusion, our trainer sought to understand why. The horse had tested positive for pentobarbital, a euthanasia solution—the very substance that the association vet had started to pull up to end the horse’s suffering and then discarded. Of course, the vet carefully chose a different syringe to take blood for the drug test … or did he? Weeks passed, and our trainer was now a thousand miles away from the track. He had spent his minuscule life’s savings to hire an attorney to determine how to fight this strange and very serious positive test—a positive test in a horse that raced with no medication. An assistant starter had mentioned that he had seen the association vet use the same syringe that held the euthanasia solution to draw the blood for the drug test, but the vet testified to the contrary to the racing commission. Years of laying the foundation for a training career were on the line. His cell phone rang and the caller ID showed the racing commission. Good news: The penalty had been rescinded and the trainer was in good standing, no explanation. Unfortunately, the die had been cast, the horses disbanded, his owners moved on and the attorney fees paid. For a young trainer, jaded by this experience, a lifetime had passed.